I both blind them with my beak nose and am their blind spot. But I exist, we exist. Sometimes when going through classifieds in literary journals, the process feels sadly like looking for a job. Can I get a witness? How many writers of color out there are guilty, like me, of weeding through the classifieds section of Poets Writers, for instance, and looking for the few ads that directly ask for work by writers of color? Or searching for those few Latina/o judges or readers who may (maybe) welcome more than a few token Spanish words in our texts? without having always to translate...my tongue will be illegitimate. These searches for pieces (reflections) of ourselves in the literary world are acts of desperation, qué no? Our desire to be visible in a world that largely renders our voices and stories invisible. There are so many calls for literary work, most with a reading or submission fee. It's not in any writer's interest to send out work without first doing a little research to see if the journal or literary project is a good fit. This is not new advice for writers in general. We've heard the sob stories; it's hard being a writer. We've heard the warnings; expect rejection. We've heard the requirements; writers need to have tough skin. We also know that if we want to send out our work consistently, it's going to cost money, and this can get expensive, especially for poets/writers who don't have a lot of feria to begin with. Yet, despite the challenges all writers face, we know there are other factors at play in the literary world. Race. Gender. Sexuality. Language. Because the publishing world continues to predominately nurture and promote White (mostly male) voices, it leaves the rest of us at a disadvantage. When I do come across those few calls for literary work that speak to multiple parts of me, I get excited, like finding that one job ad that finally speaks to me. It makes me want to shout, "Yes! Gracias! Where do I apply?" That's pretty much how I felt when I saw the call for IMANIMAN, an anthology that asks poets to reflect on the transformative and transgressive borders via Gloria Anzaldua's work. Thanks to ire'ne lara silva and Dan Vera, who are spearheading and editing this upcoming anthology, bilingual queer poets of color and poets of consciousness who have something to say about borders in relation to Anzaldua's work have an exciting opportunity—we can submit as the hybrid beings that we are. We can braid our languages and our genres. We can tango or dance a literary cumbia or two with La Gloria. We are fortunate to have ire'ne and Dan with us today at La Bloga to share a little about this exciting anthology project. Before proceeding to our short interview, here is some important information related to IMANIMAN. poetry of up to 1000 words. We are looking for work that is sparked from the soul, the individual soul, the communal soul. We will absolutely not accept academic writing. Our hope is that contributing poets will take the　opportunity to leap to unexpected places and speak to the kinds of syntheses that academic work　would need an entire book to explain and justify. This is the first anthology of poets writing on and about Gloria Anzaldúa's work. We invite you to be part of this celebratory exploration. 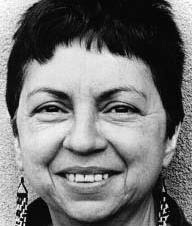 We are looking for work that directly addresses and/or is in conversation with Gloria Anzaldúa’s　work, life or conceptual ideas. The theme of this anthology is not "Why I love Gloria Anzaldúa..." or "This is how Gloria Anzaldúa changed my life..." but rather an opportunity for poets to reflect on the multiple ideas of borders/fronteras that Anzaldúa's work unleashed, and an opportunity to interrogate / complicate / personalize these concepts. Transgressive and　transformative borders can be of any kind—metaphysical, artistic, gender, identity, physical, ecological, sexual, sociocultural, geopolitical, etc. Bienvenidos ire'ne and Dan. It's wonderful to hear about your project IMANIMAN. Can you please share what inspired this upcoming anthology? Dan, how do you feel about being part of this project? What's really energized me about this project, aside from it jibing with a commitment to honor a scholar thinker activist whose work saved my life, is that we find ourselves at a historical moment when we most need her wisdom and clearthought. I've recently been immersed in Anzaldua's magnum opus Light in the Dark/Luz en el Oscuro, which finally came out this year, and I'm struck at how prescient and necessary her writing is, how she speaks to our challenges of forging new identities and connections among our communities. Yes, I love her quote that states that to survive the Borderlands, we "must live sin fronteras, be a crossroads." Is this part of the purpose of the anthology? To bridge a gap of some kind? Dan: Our anthology is an attempt to not only honor [Anzaldua's] visionary guide to nepantla but also a way of introducing her work to a new generation. When she writes about the need to transcend older mestizajes for newer, more honest identities, I find myself wishing her wisdom was at the heart of all of our current conversations about the present and the future. And for Anzaldua, her poetry was the beginning of her exploratory work. You see it in her writing and this call that welcomes hybridity is just an honoring of her own praxis as a scholar healer. I am excited about this enthusiastic call for hybridity in your project. It feels like a celebration of the hybridity we embody as Mestizas/os. Part of the guidelines also specify "no academic essays." Personally, I felt a rush of excitement when I read this because to me this translates into freedom, but I am thinking that some may argue that Anzaldua was herself an academic and that this is a bit of a contradiction. ire'ne: Anzaldua may have been an academic, but Borderlands, her most widely known work, owes much of its popularity to its accessibility to the lay person. At the same time, its rich, multi-layered poetic language lends it to repeated readings and interpretations. That’s part of what we both want for this collection—not just the accessibility but the layered nuances of poetry—we want the leaps of intuition and the wisdom garnered from the pursuit of art. Well, it's refreshing to see the call encourage those layered nuances of poetry and intuition. Usually, it's the academic voice that gets privileged over the poetic. But the opposite is true here. ire'ne: Speaking for myself, I am a community poet/writer. I work a bread and butter job, sometimes two, and freelance as an editor and consultant to make ends meet. Without a degree or an MFA or the ability to spend my time at residencies, I’ve still managed to devote my time and energy to writing for the last 17 years. I don’t think my lack of academic affiliation makes my contributions any less worthy. Writers come to their own voices and sensibilities and stories by many different paths. That’s what I’m interested in hearing—the insights borne from living, from being, from loving, from struggling, from the body, from the heart, from the soul itself. 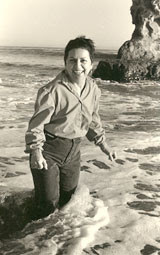 You make it clear in the guidelines that you are not seeking work that focuses on the topic “Why I love Gloria Anzaldúa” or “This is how Gloria Anzaldúa changed my life.” Instead you are seeking work that engages “the multiple ideas of borders/fronteras that Anzaldúa's work unleashed, and an opportunity to interrogate / complicate / personalize these concepts.” Help me clarify this for writers out there who, like me, want to submit but still may have questions about what to send. Here is a list of possible submissions to give our readers concrete examples of what is submittable. Please say, "Si" or "No" to each of the possible submissions. Awkward silences will be interpreted as, "No, please re-read the guidelines." Could a submission be a personal letter to Anzaldua about the current state of a particular border (physical, spiritual, linguistic, cross-cultural, sexual)? Could it involve a personal exploration of the tongue as frontera in a bilingual home? Could it be an essay that explains why I love Gloria? ire'ne and Dan: Silence. [Please re-read the guidelines]. Could it be a poem or an essay that is spun from one of Anzaldua's passages? Could it be a poem that does not in anyway mention Anzaldua, but that clearly touches on one of her many border concepts in both format and theme? Can I write an essay or poem about how Anzaldua changed my life? The first time I ever fell in love with a woman was in college. I was 18 and also falling in love with literature at the time. Anzaldua's work was instrumental in my evolving “new consciousness” as a bisexual mujer, as someone living in an “inbetween” sexual realm that often sparked suspicion and critique from people in both straight and queer circles. Can I write about this for your anthology? Can I submit an essay/poem about the border between the living and the dead? It is not stated in the call for submissions, but my assumption is that the braiding of languages is permissible and that not everything has to be translated? Well, folks. There you have it--some concrete examples of what to send and what not to send. Gracias ire'ne and Dan for your time, insight, and for this wonderful project. ire’ne lara silva lives in Austin, TX, and is the author of furia (poetry, Mouthfeel Press, 2010) which received an Honorable Mention for the 2011 International Latino Book Award and flesh to bone (short stories, Aunt Lute Books, 2013) which won the 2013 Premio Aztlan, placed 2nd for the 2014 NACCS Tejas Foco Award for Fiction, and was a finalist for Foreward Review’s Book of the Year Award in Multicultural Fiction. Saddle Road Press will be publishing her second collection of poetry, Blood Sugar Canto, in January 2016. ire’ne is the recipient of the 2014 Alfredo Cisneros del Moral Award, the Fiction Finalist for AROHO’s 2013 Gift of Freedom Award, and the 2008 recipient of the Gloria Anzaldua Milagro Award, as well as a Macondo Workshop member and CantoMundo Inaugural Fellow. She and Moises S. L. Lara are currently co-coordinators for the Flor De Nopal Literary Festival.